We just recently realized that our Reduction key was not set up for master planning. The way I am being told to set it up doesn't seem logical to me so I'm looking for some input. 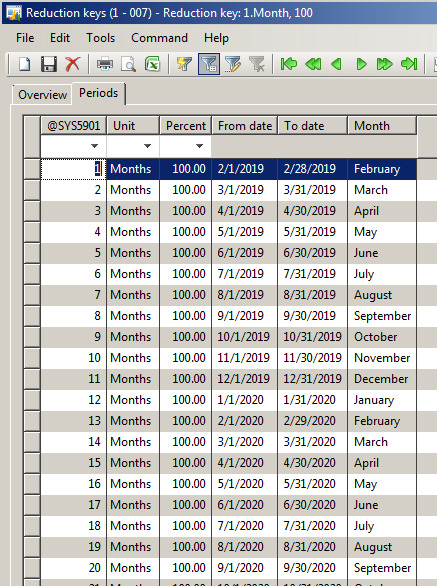 My understanding of this field is so the monthly forecast is decremented as the month passes; for example, for a forecast of 200, 1/2 way through the month there should be 100 remaining. Can I get a little push in the right direction here, I'm not sure I fully understand the effects of the Period Key. The percent would be the amount of the forecasted quantity that should be considered prior to consumption. So for example, if your Forecast is 200 for a month, and within a month you have weekly reduction keys. The percentage of the key multiplied by your forecast = the planned demand for that period. 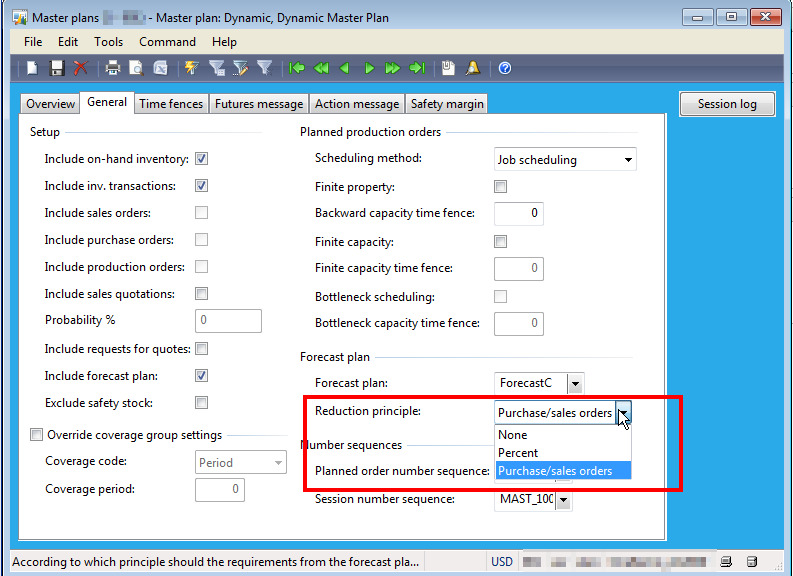 So 200 for a month with a reduction key of 50% on week 2 would result in 100 units of planned demand from your forecast. You can typically use that if your forecast is inaccurate and you don't want to build/buy to it in case the "real" demand never comes in. Based on your screenshot below, 100% of the forecast would be considered demand for every month and would be reduced based on the Reduction principle as I mentioned above. Hope that helps! Please note: this changes slightly in later versions, you had to have a Reduction key assigned in AX2009 to do any forecast reduction/consumption, in AX2012 and D365 you can purely set the Reduction principle if you don't need reduction keys.